This species is facing imminent extirpation or extinction. True to its name, the little brown myotis weighs only 4-8 grams and is approximately 4-5 cm long. The overall colouration is brown and they are slightly buffy- gray underneath. The wings are tinged bluish-gray. They forage typically over water and their diet consists mainly of aquatic insects such as midges, mosquitoes, mayflies, and caddisflies. Three different roosting sites are used: day roosts, night roost and hibernation roosts. The little brown myotis leaves its roost at dusk and the next two or three hours are peak activity periods. They are also active before dawn. They typically produce only one pup each year. Little brown myotis start breeding after one year and have been recorded to live over 30 years. In summer, the males and females live apart while the females raise the young. When fall comes, both sexes fly south to a hibernaculum, where they mate and then hibernate. Little brown myotis use a wide variety of forest habitat and readily makes use of man-made structures. White-nose Syndrome (WNS) has led to catastrophic declines of bat populations in north-eastern North America. WNS is caused by a fungus that likely originated in Europe. It grows in humid, cold environments, typical of caves where bats hibernate. It was first identified in a cave near Albany, New York in 2006. By 2010, WNS was confirmed in Ontario. The mortality rates at infected hibernation sites in Ontario, Quebec and New Brunswick are over 80%. WNS is expanding in Canada at average rate range of 200-400 km/yr. If the spread of WNS continues at the current rate, the entire Canadian population would likely be impacted within 11-22 years. 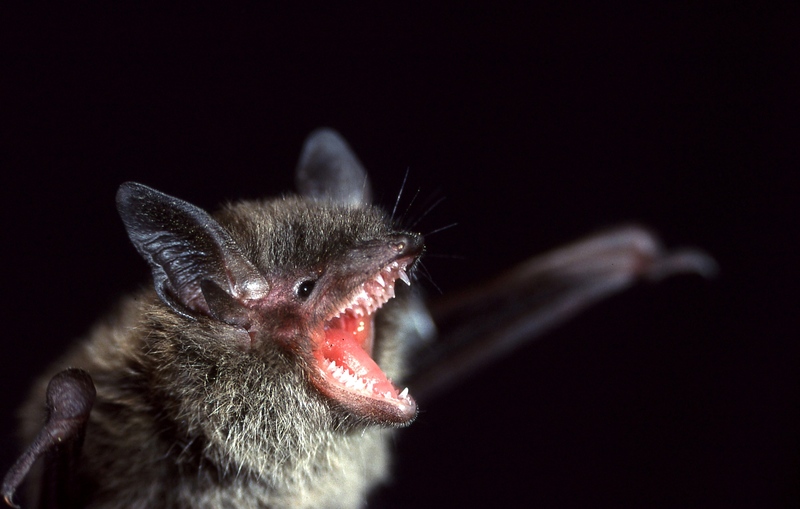 Please report any unusual bat activity such as flying outside in daytime or deaths to the Ministry of the Environment, Conservation and Parks and Forestry at 800-667-1940. You can help reduce the spread. Do not enter non-commercial caves and abandoned mines where bats may be present.